At Hearing, Climate Change Called a "Threat Multiplier"
A Democratic state lawmaker on Monday kicked off efforts to force a discussion about climate change in Texas, but he faces an uphill battle in a state where most Republican leaders don't believe it is a problem. Eickmann told the House International Trade and Intergovernmental Affairs Committee that rising temperatures and sea levels related to global warming are security threats worldwide. In some cases the threat is direct, such as extreme weather disrupting economies and trade. In others it’s indirect, he said, citing an example of drought and water shortages worsening political discontent in Syria. The hearing was one of several steps that state Rep. Rafael Anchia, D-Dallas, is taking to force a discussion on climate change at the Texas Legislature. Before the hearing, Anchia also announced that he had filed two bills last week on the issue — one that creates a global task force to study climate change and another directing Texas to comply with the Clean Power Plan, the most recent set of federal regulations proposed that limit carbon emissions from power plants. 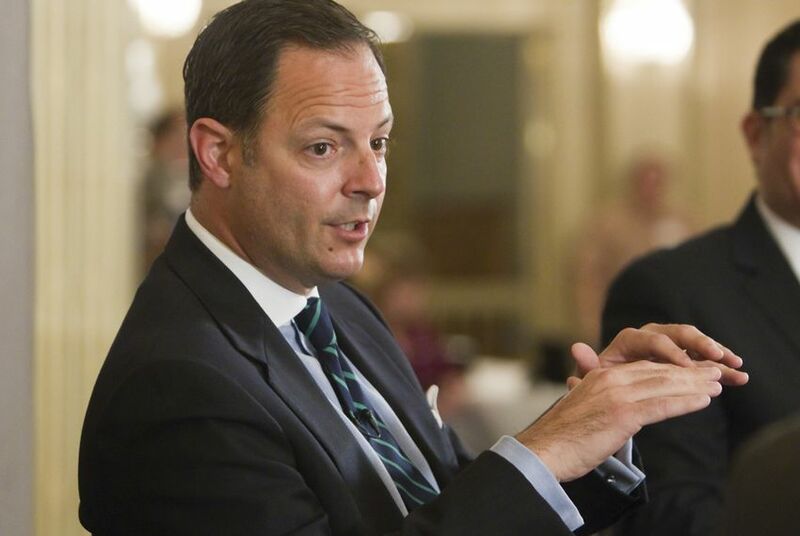 “It is my goal to spend time with every member of the Legislature, whether a believer or denier, on the issue of climate change,” said Anchia, who put together Monday's hearing for the committee, which he chairs. Anchia faces an uphill battle in a state where most Republican leaders do not buy into the overwhelming scientific consensus that humans are warming the planet with destructive effects. Of the five GOP members of his committee, two had questions for the witnesses indicating some level of skepticism. As Eickmann talked about the importance of the military moving to fuels like natural gas instead of oil to reduce carbon emissions, Scott Turner of Frisco, one of the most conservative House members, asked him what the disadvantages might be. "Are there any increased risks to our soldiers in the military because of the alternative fuel not being as powerful? Do they have to refuel more often?" Turner asked him. Eickmann said that alternative fuels are more efficient and safer for soldiers. State Rep. Dustin Burrows, R-Lubbock, questioned Eickmann about the motives of his research. "How did you become interested in this subject? Were you asked to do it by the government?" Eickmann responded that he had been interested in the issue back when he was still in the Air Force. Burrows also asked Katharine Hayhoe, a world-renowned climate scientist at Texas Tech University, if nuclear energy was part of the solution, given that solar and wind only work when it's sunny or windy. Republicans have long said renewable energy is not reliable enough, but environmentalists and some experts, including Hayhoe, say that argument would be moot once energy storage technology is developed. At the hearing, Hayhoe also spoke about her Christian faith and how it ties to the issue of addressing climate change. “In the Christian faith, we are told to love our neighbors," she told lawmakers, noting that climate change has far more devastating effects on other countries with fewer resources than the U.S. to deal with them. But climate change may be more politically divisive in Texas than ever. As attorney general, current Gov. Greg Abbott had sued the federal government over every one of its regulations targeting greenhouse gases, though none of the lawsuits has been successful. And the top official at the Texas Commission on Environmental Quality has also expressed deep skepticism of climate science. Texas Republicans found themselves with fresh ammunition to slam the Obama administration when the president announced the Clean Power Plan last year. A number of states have already sued the Environmental Protection Agency over the proposal, though Texas is not yet among them. To Anchia, those examples simply show a "disconnect" between the Legislature and Texas on climate change. Polls have shown that most Texans are concerned about global warming and want to do something about it, he said Monday before the hearing. "Industry has already stepped up on this," he noted, pointing out that huge insurance and oil and gas companies are incorporating climate change into their projection models. A handful of other bills related to climate change are pending in the Legislature right now, including two from State Sen. Rodney Ellis. The Democrat from Houston has proposed making sure the state water plan incorporates the best available science (which would include research on the impacts of climate change on water resources), and developing a climate adaptation plan. "We can come up with a Texas solution to climate change," Anchia said. Disclosure: The University of Texas at Austin is a corporate sponsor. A complete list of Tribune donors and sponsors can be viewed here. Clarification: This story has been updated to note that state Rep. Dustin Burrows' question to Katharine Hayhoe about solar and wind energy included a reference to nuclear energy.